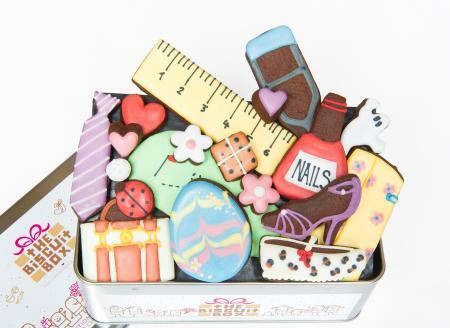 Show some bunny you love them with this cute Easter tin. 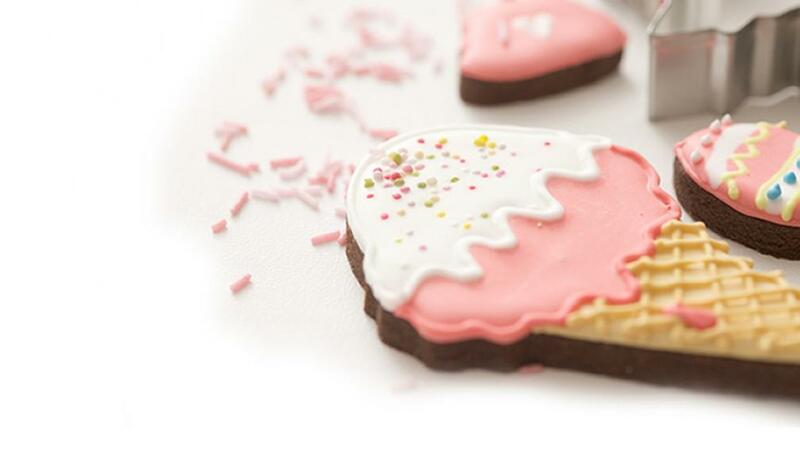 Packed full of hand iced chocolatey Easter biscuits it makes a great alternative to an Easter egg. 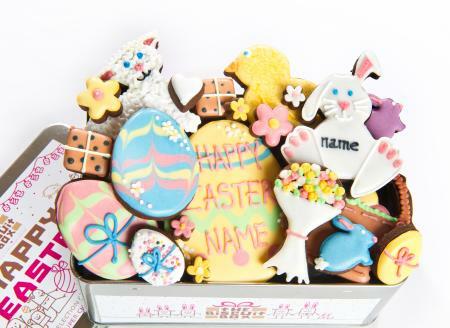 This tin contains approximately 29 hand iced biscuits in various shapes and sizes, beautifully displayed over three layers in our Happy Easter Tin. 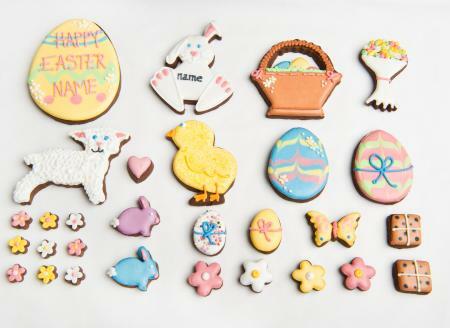 These yummy Easter biscuits make a great alternative to an Easter egg, packed with super chocolatey hand iced biscuits. 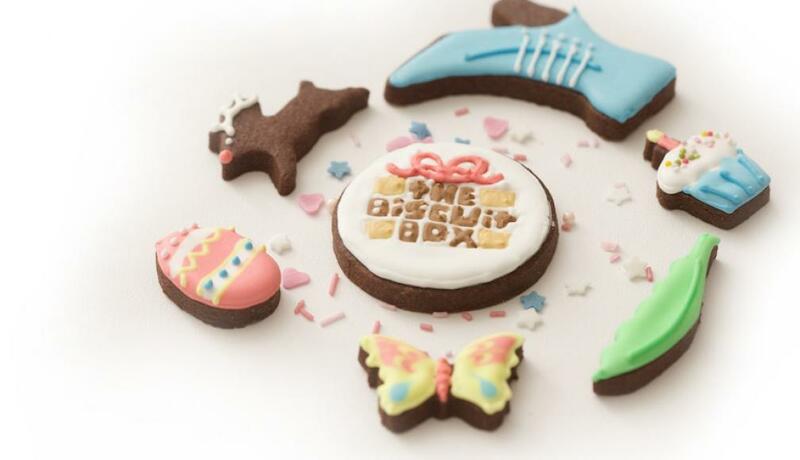 Personalise the bunny biscuit with a name to make an extra special gift. 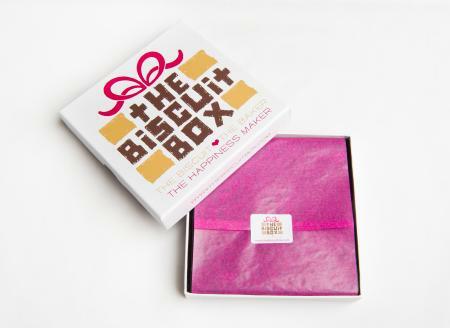 This box contains approximately 15 biscuits of various shapes and sizes, displayed over one layer in our branded biscuit box. 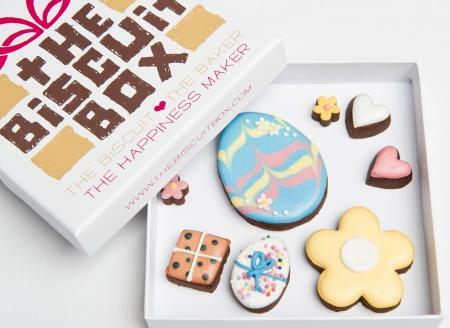 Give this Eggcellent gift as a yummy alternative to an Easter card this year! 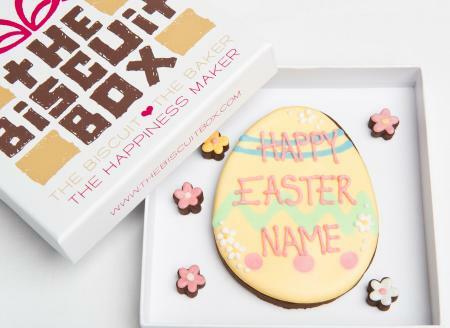 Have the egg personalised with a name to make it really special. 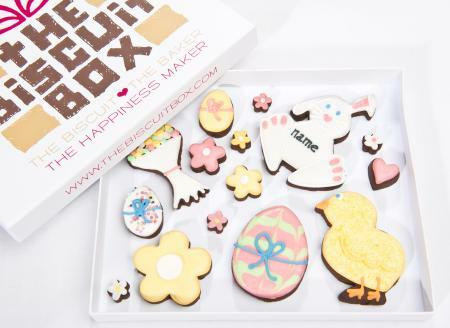 This Easter biscuit card makes a great alternative to an Easter egg or card and is so much tastier too! 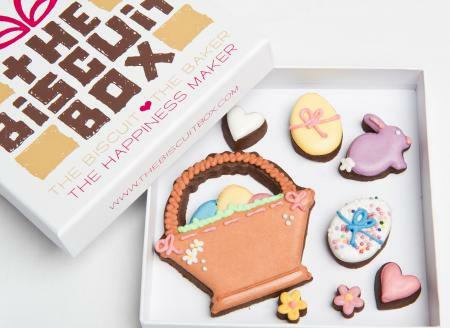 With a biscuit Easter basket filled with eggs hand iced onto our super chocolatey biscuits who could resist! 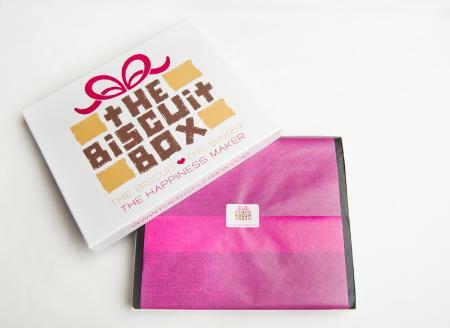 This biscuit card contains approximately 8 biscuits of various shapes and sizes displayed over one layer and presented in our branded biscuit card box. 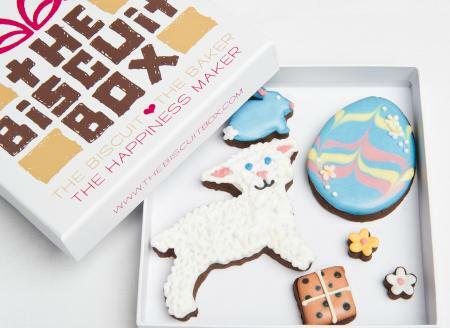 Give someone this cute little lamb biscuit card this Easter. 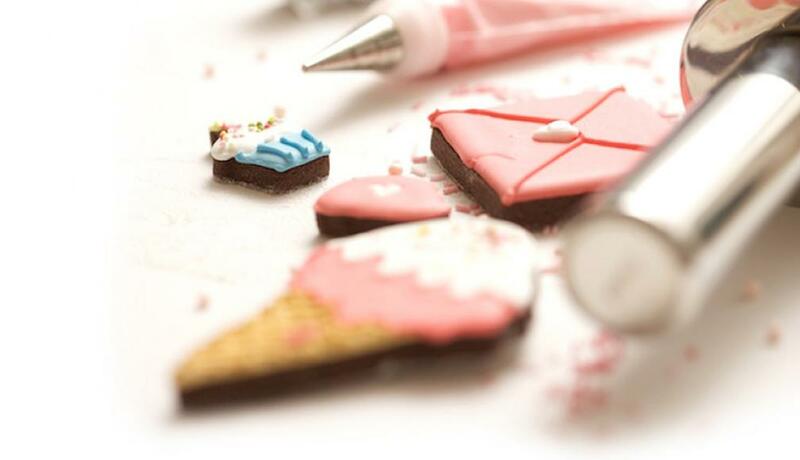 Hand iced on our super chocolatey biscuit it makes a delicious Easter treat. 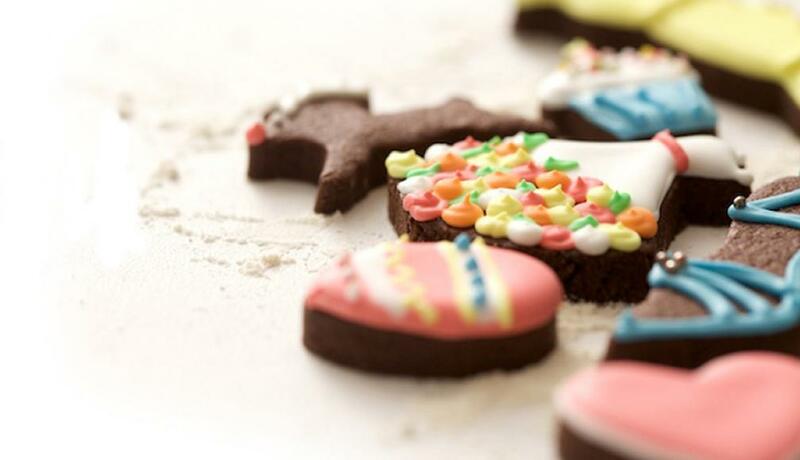 This chocolatey treat has all the best bits of Easter, from eggs to bunnies it makes a great gift. 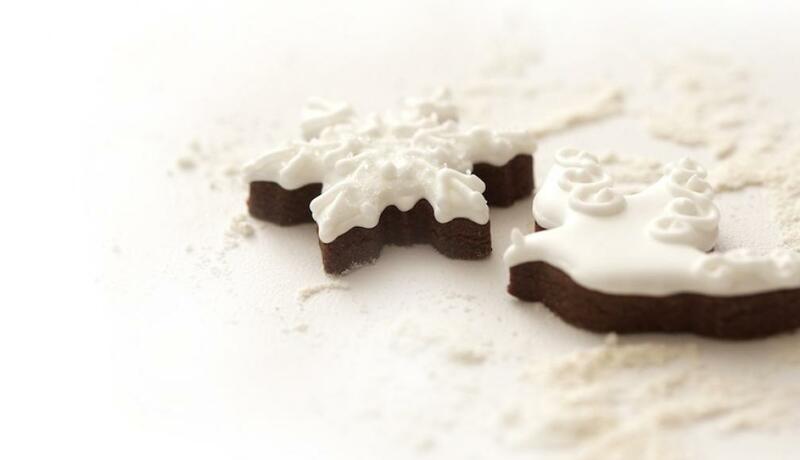 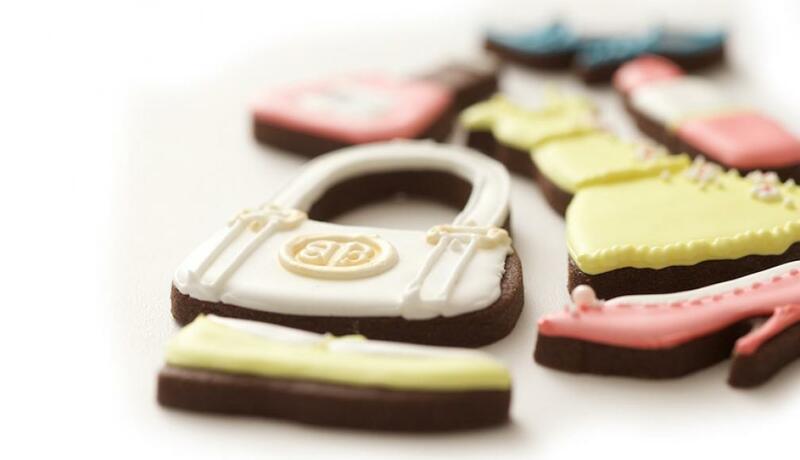 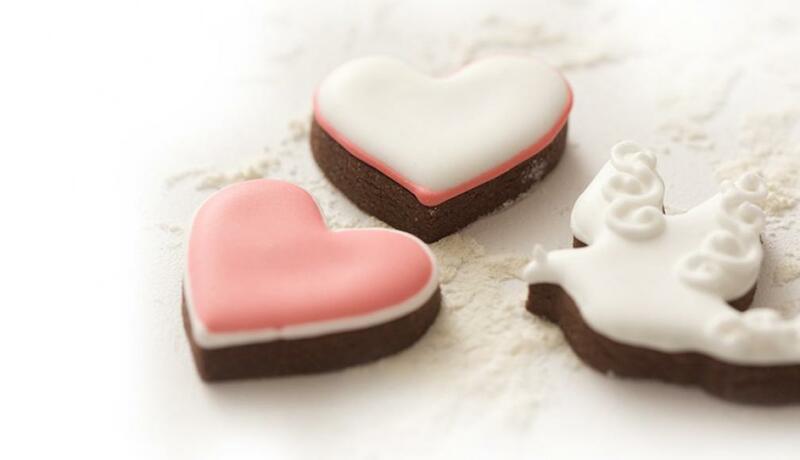 The biscuits are hand iced on our super yummy biscuits although you may think they are too cute to eat!